Dara was very helpful when it came to putting our house on the market last summer. With her guidance we were able to sell it and look for our forever home! Thad and Dara were wonderful to work with. I just closed on my first home. Dara kept in contact with me throughout the entire process and was always easy to reach with any questions. I'm so glad I was referred to her! My first home buying experience was excellent! If you're looking to buy a house I would definitely recommend the Barker team! This team is caring, hardworking, and always had my best interest in mind. They were so patient and helpful for this first time home buyer. They always went out of their way to work with my specific schedule. Thad and Dara were very helpful in both selling our house and in purchasing a new one for our growing family. They were honest and very informative, and knowledgeable about the area we wanted to move into. They encouraged us to think about our situation now and in the future and helped us choose a house that will be comfortable and functional for us for years to come. They were very responsive and answered all of our questions and kept us updated on houses that were on the market that fit our criteria. they were also able to guide us through the process of making an offer on a home and purchasing that home for a very fair price. Overall, very knowledgeable and helpful! We will definitely recommend them to family and friends in the future! Our experience with Barkers was excellent. We would gladly recommend them to everyone. They've gone above and beyond what we expected. They sold a house for us in record time. Dara Barker helped us sell our home and purchase another one. Dara is very professional and very reliable. She was a delight to work with. I would recommend The Barker Team to anyone who would need their services. It was a pleasure working with Dara. My wife and I had tried to sell this property before with a couple other agencies / realtors and were unsuccessful. They seemed to not be very interested in helping us sell the property as it was not a high value home. Thad and Dara went the extra mile to ensure the home got sold and for a fair price. 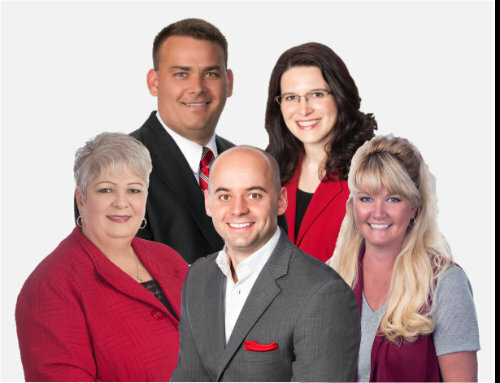 I would absolutely recommend Thad and Dara to anyone buying or selling a home. They are very knowledgable and professional. Very quick to respond to all questions and emails. Great negotiating skills when working with other realtors/clients. Very friendly and personable. I would absolutely use them in the future! Had the best buying experience yet with Dara Barker. She showed me exactly what I wanted with extreme speed and expertise. Wouldn't be in my place so soon had it not been for the way she handled the deal. All went smoothly from first signing the contract to signing the final paperwork. Completed in three weeks from start to finish. I'm impressed!!!! Yay Thad and Dara Barker. They're just honest good people. The best. The Barker team was a great team to work with in buying my house. They had tons of knowledge of the area, were on time and listened to my concerns and needs very closely. Every house they showed me werehouses I was interested in and though we probably looked at 20 houses they never got discouraged that they wouldn't find me a house in the area. I highly recommend them. I would recommend Dara to anyone moving to the southern OH area. Very responsive and helpful and had the best needs of the buyers (acting as Buyers Agent). Dara was so responsive to every question or concern I had. No matter how busy she was, she got back to me in a timely manner. One of the things I liked most about her is that she always followed through with what she said she'd do and never hesitated to find an answer in the rare instances that she didn't know it already. She really went above and beyond for me, which was especially important as a first time home buyer who was doing it alone. I highly recommend this team. Thad and Dara helped us through a difficult estate sale. They were always very professional and always available for questions and updates. They truly had my best interests at the forefront through many weeks of negotiating. I would recommend both to friends and family and should I need their services in the future, I would not hesitate to call. Thad and Dara Barker have been more than an agent. They treat you like family. I have used them on several different real estate purchases or selling and have found them to be very honest, caring and supportive of our needs as well as our concerns. They go the extra mile to get the job done. After a closing they still are available to see you through any real estate or closing concerns that may arise.. As small time investors, we are very pleased and will always use them for our real estate needs. They were very helpful and did a great job. Would not hesitate to recommend them! They were timely, available and professional. Plus extremely nice! While working with Dara to find a home to purchase, my confidence in her knowledge, experience and integrity only grew with time. It took a while for us to find just the right house for us and her patience and determination matched ours. We have relocated many times over the years, buying and selling six homes. Dara is, by far, the best agent we have ever worked with. I would call her immediately if I had a real estate professional. Thad and Dara worked with me for about 6 mos. looking for a home. They got a feel for what I was looking for and only showed houses to me that they thought I would be interested in. No wasting time just showing houses just to try and sell them. Helped me tremendously from the first offer all the way to closing. I would recommend them and will use them again if I am in the market. Dara Barker was very helpful through the purchase of several homes for my place of business. Throughout these purchases Dara was knowledgeable and responsive to my needs. She worked within the criteria that we established. I will continue to use Dara for all future Housing purchases and sales. Dara was temendous to work with throught he process. She was patient with my questions and gave detailed information, was very responsive and honest in her interactions. She was a joy to work with in a difficult process! What is the Essence of a Perfect Realtor? We were determined to find the perfect realtor during our search for the perfect home last year. Before beginning the search, my husband and I challenged each other to sum up the characteristics we desired in the realtor whom we would ultimately work with throughout our search in several, two to three word phrases. We described the perfect realtor as someone who: 1. Is morally/ethically driven 2. Values relationship-building 3. Exudes enthusiasm 4.Competently Communicates 5.Consistently follows through 6.Exhibits considerable flexibility 7.Provides accurate documentation We found her: DARA BARKER In addition, Dara possessed great knowledge of the market, exhibited great talent at maintaining a professional demeanor and attitude, proved extremely resourceful from start to finish, and was always prepared. A year after purchasing our home, Dara still weighs in to see how we’re doing. That's significant. We highly recommend to all home buyers to Include her in your interviews when selecting a Realtor - we believe you will agree that she is the perfect choice! Dara made the entire process enjoyable. We were managed with professionalism as well as welcoming and rapid responsiveness. She worked quickly to address any concerns we had, and always did so with a warm response. It was wonderful to have a realtor who we not only could trust, but who we knew cared about finding us the perfect fit! I am very satisfied with the help I receive from Dara and Thad in buyng my home. Dara has a lot of knowledge helping you through the process of buying a home. She will go through every step ahead of time. When ever I would call or text her about showing a home to me. She would give me a response quickly with a time and day that would work for me. Thad or Dara would be at the home at the time that was set for the showing. I have found the home that I was looking for with their help. I am very happy I pick them to help me buy my home. Thad and Dara were very knowledgeable and helpful throughout the entire selling and buying process. We wanted to downsize from our big house to a smaller condo. We were apprehensive due to the market and financial conditions. However we did sell our home quickly and at a good price thanks to Thad and Dara's expertise. As soon as it was listed we had showings almost daily, sometimes twice a day. We looked at a lot of different properties before buying a condo, and Thad and Dara made themselves available for showings whenever we requested to see one. Dara has good negotiating skills and helped guide us through some difficult moments. Both Thad and Dara had a great deal of knowledge about the condo communities we were interested in. We finally decided on a free-standing brick ranch condo and are very happy with our new home. We have already recommended Thad and Dara's services to several people we know. We interviewed a some other real estate agents during the year before we listed our home. They were either unprofessional, lacked knowledge, too pushy, or showed little interest in listing our home. We're so thankful that we finally signed on with Dara and Thad. Be sure and take the experts advice and de-personalize, clean and de-clutter your home when selling, re-paint in neutral colors, make necessary improvements and updates - it worked for us. We actually received a nice thank-you card from the folks that bought our home, thanking us for taking such good care of the house and for the improvements we had made over the years! (Sold home in Galloway OH for 152K, purchased condo in London OH for 112K - all with Thad and Dara's help). Dara is always standing on buyer's side and is always giving her professional opions straight forward. She is super good at negotiation and willing to present any offer that we want to put to give a try. It was pleasant experience to have her as our realtor. We would highly recommend her. Thad and Dara were great! I couldn't ask for a better experience. I recommend them to everyone I know in Central Ohio. Honestly the most trustful and hardworking people I know. Dara was very patient with me through all the questions I had and the times I had to ask her to explain things to me. She was very professional at all times. I had only worked with Thad once and that was when he took me to see my new home. He answered the questions I had and I told me what I needed to do after one look at the house. Thad and Dara handled themselves and the deal with the professionalism people would expect from real estate agents. I would recommend them to anyone looking to buy or sell a house. Wonderful to work with!! I can't say enough about this couple - I experienced a few other realtors before coming into contact with Thad and Dara and I felt so blessed when I started communicating with them! The realtors before them did not seem interested or committed with trying to find the perfect home for me and from the very second Thad and Dara started speaking to me I could tell they were exactly what I wanted in a realtor; I was so happy that I had someone to work with that I knew cared about my interests and someone that was actively involved in trying to help me find the perfect home for my needs. They gave GREAT advice and they were insanely honest, respectful, and personable throughout the entire process. As far as the home buying experience after we selected the house we wanted - they continued to show their expertise and professionalism in helping me keep my lender in line as well as helping me expedite the process from start to finish. Most importantly in my experience, they stood up for me and didn't hesitate to go above and beyond to help me in ways I never thought a realtor would do for a client. I honestly can't say enough about this couple, I believe I could write a 10-page essay on their characteristics and how great they are as a realtor - they honestly have that many great characteristics!! I only wish I knew about them from the very beginning of my home-searching experience - I hope everyone takes this review seriously because even if you don't choose them as your realtor, you should at least contact them and speak to them to understand how caring and professional they really are with their clients! Dara and Thad were wonderful to work with. They were always on top of everything and made buying a home a great experience. They went out of their way to find us the perfect home. I highly recommend them to anyone looking for a home. I have nothing bad to say about Thad and Dara. They helped me find my home very quickly. I am 100% satisfied. I have already referred them to a friend. Thad and Dara were amazing to work with! They were the first agents that didn't pressure us into buying a house that wasn't right for our family. They were both very patient and helpful during the whole process. As first-time home buyers it was really nice having a real estate agent that was willing to explain everything in detail, answer all our questions, call us back quickly and be there from the very beginning to the very end. They even followed up with us a few weeks later to see how everything was going once we moved in!!! A real pleasure to work with, and we will definitely use them in the future. Dara Barker is great. We sold some rentals we had, and just this week sold our residence and bought a new home...closed a day apart. Not only is Dara a great realtor, I am proud to add her as a friend. She was/is great at planning ahead for any obstacle that may arise. Even stepping in and advising the sellers realtor of things that needed attention. I plan to use her and the Barker Team again if I want to sell or purchase real estate. Dara is a great professional to work with on selling your home. Dara helped me in selling my mother's home this past year. My experience was very good with Thad & Dara. We worked together in searching for homes. I had a very short time period in which to locate, finance, negotiate, and close. The entire process went very smoothly without any glitches. They knew every step of the process, and guided me through with as little stress as possible.